Khmer baked chicken wings with sweet and spicy sauce is another delicious variation on some of the Cambodian recipes. In a small bowl, mix brown sugar with honey, oyster sauce , paprika and hot sauce together, set aside. Cut wings at joints. Discard tips and place wings in a baking dish. In a small bowl, mix soy sauce with fish sauce, salt, lemon juice, ginger, garlic, green onion and black pepper together. 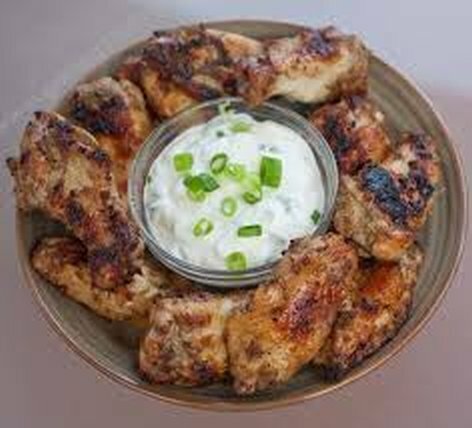 Pour sauce over chicken wings, mix well, and refrigerate over night or at least 4 hours. Brushed prepared honey sauce evenly on cooked wings. Return wings to oven, continue to bake for 5 more minutes before serving.